Hawaii Island – or the Big Island as locals call it – is arguably the most spectacular of the Hawaiian Islands to view by helicopter. And the variety of Island of Hawaii helicopter tour options is equally impressive – you can take a short 30 minute flight from Hilo up and over a bubbling, steaming volcano or a two-hour grand aerial tour leaving from Waikoloa that includes canyons, lush rainforests, sacred valleys, black sand beaches, topped off with a flight over an active volcano! 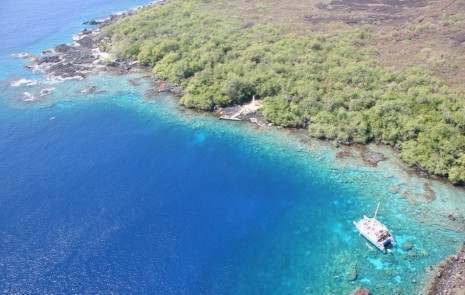 And lots of other tour offerings of different flight lengths and departure points, including combinations with submarine trips and, our favorite, you helicopter into a remote rainforest for an unforgettable hike. Most tours include Hawaii Volcanoes National Park, home of the magnificent Kilauea Volcano, the world’s most active volcano. Puʻu ʻŌʻō, one of Kilauea’s cinder cones, has been erupting continuously since January 3, 1983, making it the longest-lived rift-zone eruption of the last two centuries. This eruption has buried over a hundred homes, wiped out portions of the coastal highway and destroyed the famous black sand beach of Kalapana. With some of the most beautiful and diverse landscape in the world, the Big Island of Hawaii is definitely the perfect place for a helicopter ride! Must-see attractions include the towering sea cliffs and spectacular waterfalls of the Hamakua Coast, and the active lava flow of the Kilauea Volcano! Blue Hawaiian departs from beautiful resort area of Waikoloa.They offer a 2-hour “Big Island Spectacular” helicopter tour that takes you up and over just about every spectacular island of Hawaii location… including Kilauea Volcano, lush rainforests, sacred Waipio Valley, molten lava in the Volcanoes National Park, the Hamakua Coast and more! Wow, if you have the time this is the tour to take! Another great tour is their 45 minute “Kohala Coast Adventure”, which flies you over the crystal clear waters and spectacular resorts of the Kohala Coast and then inland to the cliffs and valleys of the Kohala Mountain Range. 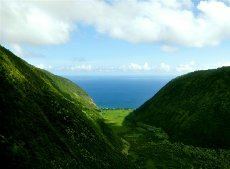 You’ll see waterfalls, a tropical rainforest, and the jet black of old lava flows. Blue Hawaiian Helicopters is proud of their endorsements and awards from the most important international, national, and local organizations in the travel industry: National Geographic Magazine, Frommer’s Hawaii, The Travel Channel, and many more. Blue Hawaiian Helicopters Tour Info – CLICK HERE! 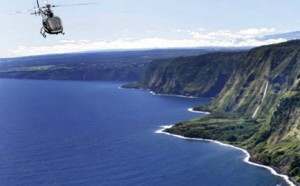 Hop aboard one of Paradise Helicopters’ expertly piloted helicopters for a fabulous tour over the incredibly diverse natural scenery of the Big Island. Depart from either Kona on the west-side or Hilo on the east-side. Either location, you’ll fly in air-conditioned comfort in a spacious cabin. We love their “Volcano and Valley Landing” combo tour of a flight over the Kilauea Volcano followed by a landing in a secluded valley where you can hike or just relax and unwind. It begins as you fly over the slopes of Hualalai, between Mauna Loa and Mauna Kea, and then on witness the sheer might of Kilauea Volcano’s power. Then north along the coast where you’ll touch-down in an exotic, remote location where you can hike on a private, historic trail that takes you through lush rainforests, over gurgling streams, to a crisp, clean, mountain pool for a dip if you like! They offer 2 & 3-hour flights out of Hilo that showcase the Big Islands tropical rainforest and active volcanoes. And the ultimate in helicopter excitement: A doors-off flight over the volcano. You’ll get the best photos this way, and the most thrills! The Hawaii Experience tour leaves from Kona and takes in the best of the Big Island… Kilauea, majestic mountain twins Mauna Loa and Mauna Kea, Hualalai, Captain Cook, Kealakekua Bay, Hamakua Coast and beautiful Waimanu Valley. Bell Jet 407: This 6-passenger helicopter departs from Kona. It has the fastest cruise speed of any helicopter in the islands, offering unsurpassed comfort and a virtually vibration-free ride. Its oversized sliding windows offer great picture taking views and it is capable of flying non-stop around the entire Big Island, giving you as much time in the air as time permits! Hughes 500: This 4-passenger aircraft departs from Hilo, offers a more personalized flight and you are always guaranteed a window seat! Known as the “Magnum P.I” helicopter, its quick maneuverability and smooth ride gives visitors an exciting and memorable helicopter ride. You can even fly with the doors off for the ultimate in out-there experiences! Paradise Helicopters Tour Info – CLICK HERE! Flying over the Hamakua Coast. 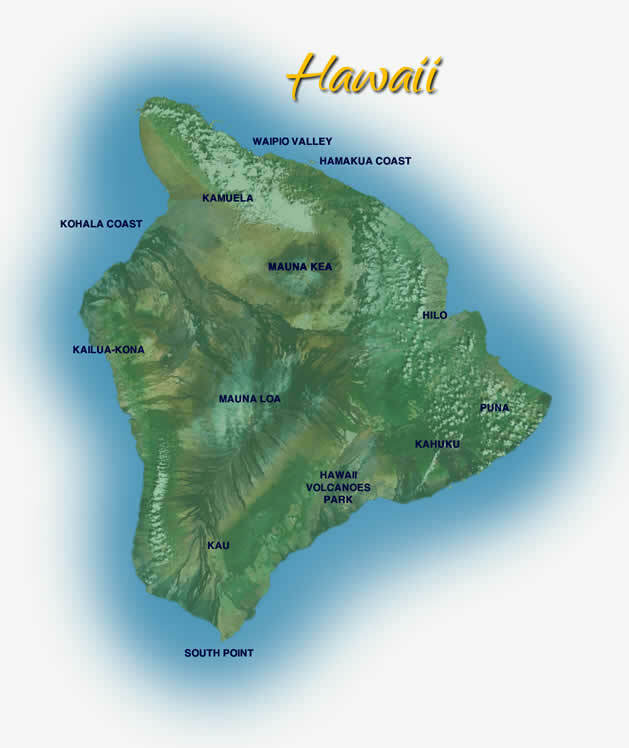 Sunshine Helicopter Tours offers a 30 minute flight that focuses on the dramatic Coastlines of Kohala and Hamakua. You’ll see resorts with sparkling beaches, crystal clear water and green golf courses surrounded by black lava. Then the tour continues on to Waimea, Waimanu and Waipio for sweeping pastures, tropical rainforests, waterfalls, ocean cliffs and hidden valleys. Their 105-minute Volcano Deluxe Tour flies you to experience the steaming heat of lava vents and Hawaii’s active volcano, Kilauea. Other tour islands include tropical valleys of the Kohala Mountains, roaring waterfalls, and the beautiful rainforests of the Hamakua Coast. Sunshine Helicopters has been operating since 1985 with a perfect safety record. Their experienced pilots provide you with a safe, smooth, and comfortable helicopter tour of Hawaii Island in their WhisperSTAR helicopter for maximum enjoyment with breathtaking panoramas filled with waterfalls, rainbows, and spectacular coastlines! Sunshine Helicopters Tours – CLICK HERE!